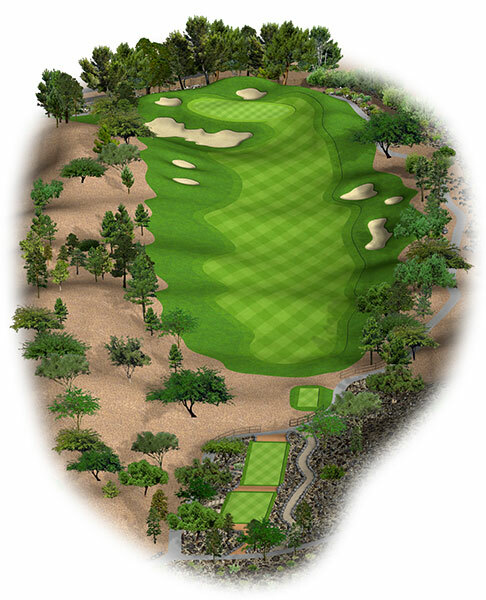 Rio Secco’s opening hole makes an incredible first impression on an already outstanding Las Vegas layout by forcing players to make a risk-reward decision the moment they leave the practice tee. Playing 367 yards from the back, long hitters can flirt with the flagstick with a stellar tee shot, but must avoid the deep greenside bunker guarding the front that makes for a tough up and down. Average hitters who find the fairway will have a wedge or short iron and a good approach angle, which makes the first hole a great starting point for a low scoring round. And, even if your tee shot finds a little trouble, a well-struck iron from the rough should still find the dance floor or, at worst, a decent chance to save par.